Spearfishing is the act of catching fish with a spear, spear-like implement or spear gun. This ancient practice is thousands of years old but has become increasingly popular over the last century. What is it that draws modern man to dive below the water, where he cannot breathe, in search of fish? Is it the sense of tranquility that comes from the depths? Or perhaps the challenge of overcoming our human boundaries to become underwater predators? 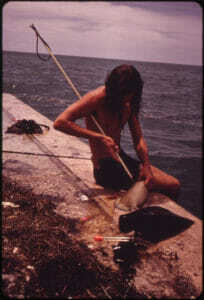 One thing is certain, spearfishing and freediving began as a way to procure the food and resources needed for survival. In this post, we’ll dive into the history of spearfishing and freediving. Ever since early man ventured out from the savanna and encountered the vast oceans, he has been using them as a source of sustenance. Many early hunter-gatherers lived along the coasts of Africa mainly eating fish, seaweed, clams, and oysters. Spearfishing is one of the earliest forms of fishing, dating back to the Paleolithic era. The 16,000-year-old Cosquer cave in southern France depicts cave art of seals being harpooned. 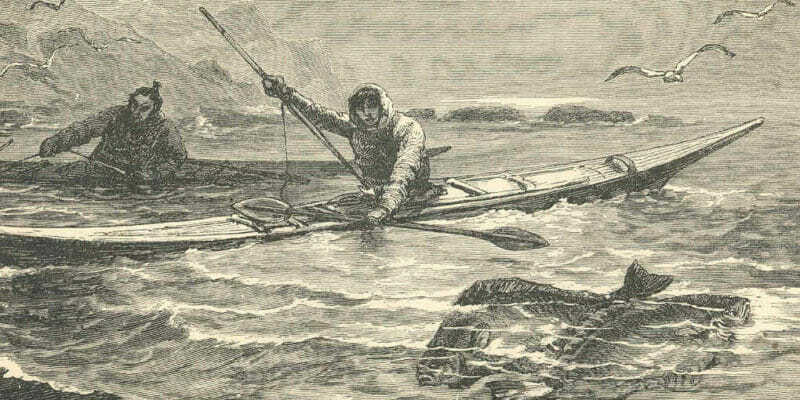 More references to spearfishing are found later, with Greek Historian Polybius describing the hunting for swordfish with a barbed harpoon that had a detachable head. Around the same time period, Greek writers Homer and Plato mention the practice of sponge diving. Interestingly, sponge diving is still done today on the Greek Island of Kalymnos. When sponge diving, divers would use a weighted stone called a Skandalopetra to descend quickly. Once on the sea floor, the diver would cut the sponges loose, often holding their breath for up to 5 minutes, and diving 100 feet deep. They used the sea sponges for cleaning, padding, and as water filters before the invention of modern synthetic sponges. Early civilizations also practiced pearl diving extensively. By the year 3000 BC, traders in the Arabian Peninsula and ancient Egypt were selling pearls. Extracting these pearls was a dangerous job. A diver would need to collect thousands of oysters to find just one pearl. These divers would often dive down to depths of 40 – 125 feet (12 – 40 meters), as the oysters were mostly located in deep water. As a result, many divers died from shark attacks, drowning, and shallow water blackouts upon resurfacing. During colonial times, pearl harvesting became a big industry in Latin America and the Caribbean. Portuguese and Spanish colonists discovered vast oyster beds off the coasts of Venezuela and Colombia, particularly around Margarita Island. They quickly established a pearl harvesting industry using local natives as slave labor. Many natives died from this hard labor, so they switched to using African slaves, as they were better swimmers and could better withstand the harsh conditions. This industry didn’t last long though, as over-exploitation of the oyster beds led to the depletion of the oyster stocks. Because of this, by the 1700s pearls became rare once again. 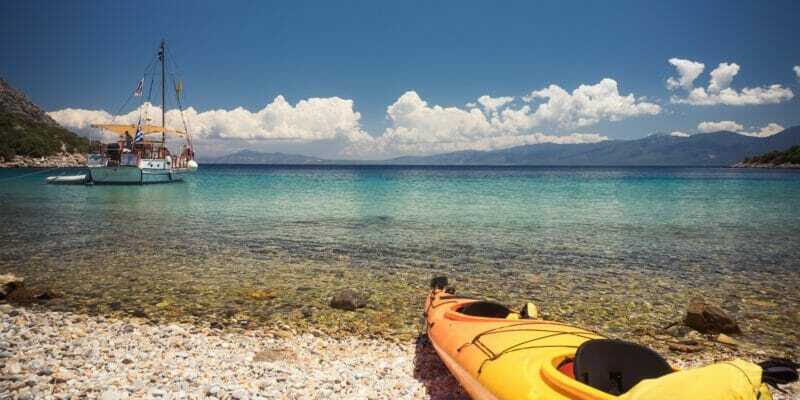 Modern spearfishing history evolved in the 1920s and 1930s when adventure seekers on the Mediterranean coasts of France and Italy began experimenting by using watertight swim goggles to dive below the surface and spear fish. 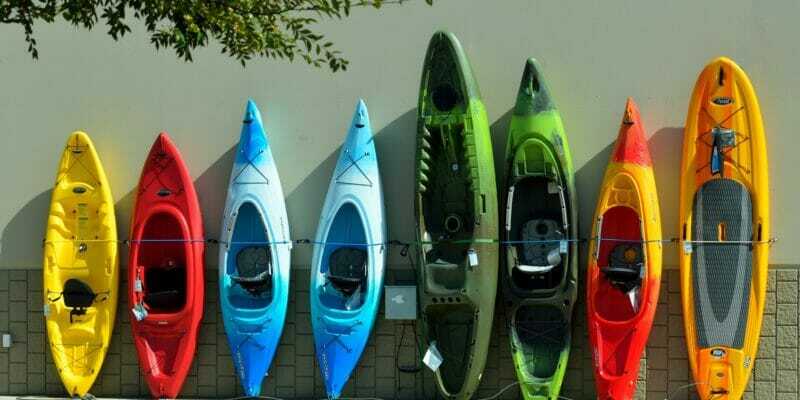 This led to the development of the modern diving fins, mask, and snorkel. Some sport spearfishermen started using oxygen rebreathers, which eventually led to the creation of the Italian frogmen commando unit. In 1947, French inventor and spearfishing enthusiast, George Beuchat invented the first underwater speargun. He called it the Tarzan, and it was the first to use an elastic propulsion system. This type of gun is still the basis for modern spearguns. As the sport progressed, groups of divers in California like Charlie Sturgill, Jack Prodanovich, and Wally Potts began innovating and inventing new gear and equipment. In 1950, the International Underwater Spearfishing Association (IUSA) was born. Its goal was to promote spearfishing and assist in scientific and spearfishing competitive records. 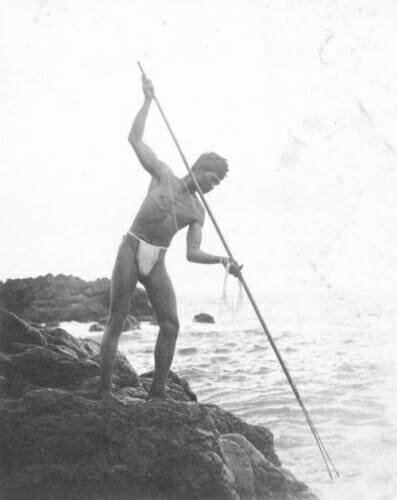 Spearfishing has come a long way since those pioneering early days. As technology has progressed, so has the equipment used by spearos. 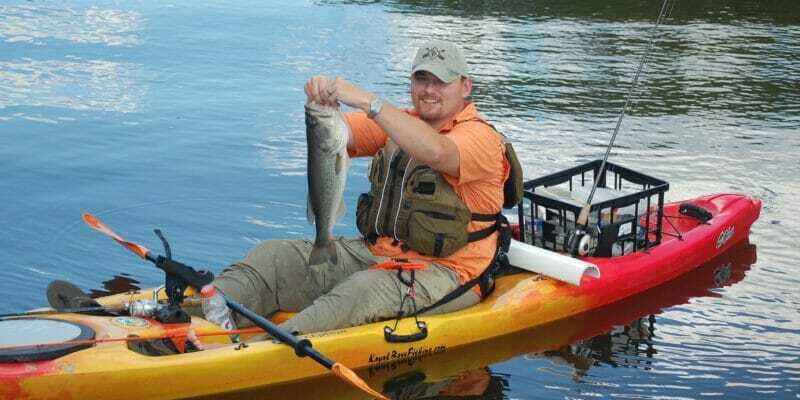 Nowadays, carbon fiber fins, low-volume dive masks, and camouflage wetsuits have made spearfishing easier and much more approachable for folks looking to get into the sport. It is only in the modern era where freediving has ceased to be a means of food and resource gathering, and become a sport in its own right. 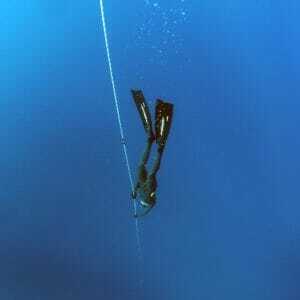 Up until the early 20th century, freediving was undertaken primarily to harvest sponges, pearls, and seafood, as well as being used occasionally in warfare. The modern era began with the Greek sponge diver Stathis Hatzis. 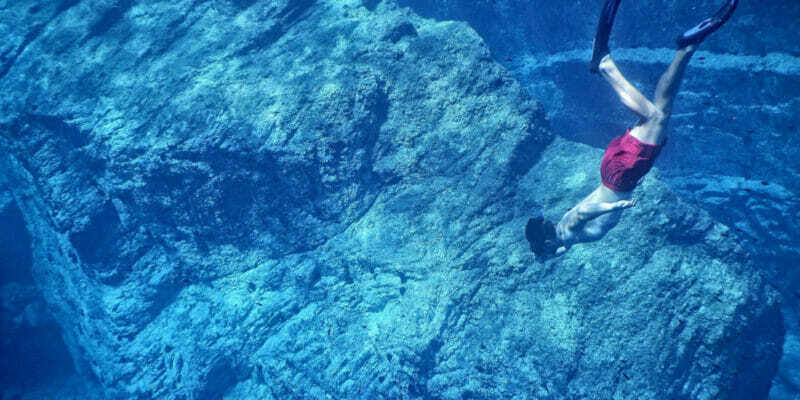 He was the head diver among hundreds of freedivers who dove for sponges on the islands of Symi and Doecanese. In 1913, he dove 88 meters (289 feet) down, for 4 minutes, to recover the anchor of the Italian battleship Regina Margherita. This was the first recorded freedive. Shortly afterward, advances in diving gear, like fins and specialized masks that allowed divers to equalize, led to the birth of modern freediving. In 1949, Raimondo Butcher became the first man to officially dive to 30 meters. Scientists thought he would die from the overwhelming pressure, but to their amazement, he returned to the surface unscathed. Butcher’s record didn’t last long, and soon a new generation of freedivers emerged. The film “The Big Blue” by Luc Besson brought freediving into the pop culture limelight. It depicted the rivalry between two legendary competitive freedivers, Jacques Mayol and Enzo Maiorca. Although the film is a dramatized version of the real-life story; it correctly depicts both men diving beyond 100 meters (330 feet) in competition. The current freediving record holder for no limits is Herbert Nitsch. He dove an incredible 214 meters deep in 2007 and holds the record until this day. 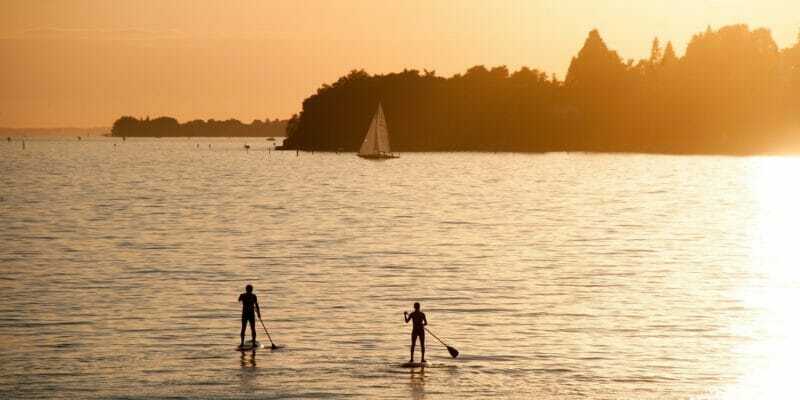 As you can see, incredible advances have been made in the sports of spearfishing and freediving over the past century. Hopefully the incredible history of spearfishing and freediving inspires you to further your own abilities!